KATHMANDU, Dec 05: Nepal Airlines Corporation (NAC) on the process of the corporation to operate fight at Osaka, Japan. The meeting was organized between high officials of Japanese team and NAC Monday (December 3) discussing on the topic of NAC resuming its flight to Osaka. The newly appointed executive chairman of NAC Madan Kharel initiated the Nepali delegation discussed about the subject related to NAC operating schedule flights at Osaka in the future with the delegation initiated by Emmanuel Menanteau, representative director of Kansai International Airport. There were 3 representative delegation from Japan who arrived to Kathmandu day before Monday. 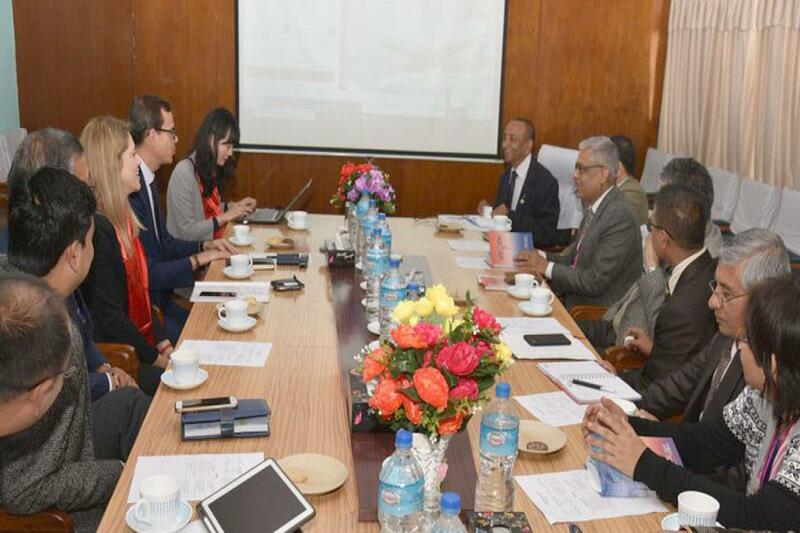 The Japanese team had expressed supportive attitude saying that Japan will help NAC to operate flights. Similarly, they have also said that NAC flights to Osaka will play great role as Osaka airport is second popular and central airport after Haneda Airport in Japan. ‘9N-AKW’ Sagarmatha was then not released by engineers as it required maintenance before flying back said NAC officials. The corporation has been operating for 3 days at Hong Kong, Bangkok for 4 days and 2 days at New Delhi.